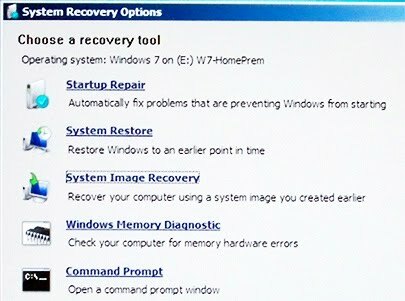 >Windows Recovery Environment (WRE) is a new tool available in Windows 7, Server 2008 and Server 2008 R2. It is replacement utility for older options such as Startup Disks, Recover Console, and Repair Disks. WRE includes a valuable set of utilities that could you help troubleshoot a machine and help you recover a non-booting system. From the run or search box in the Start Menu, on a matching architecture machine (meaning the corresponding Operating System and Bit level – 32 or 64), search for “Create System Repair Disk”. The wizard will walk you through the rest. The Windows Recovery Environment CDDVD can be used on any machine with the matching architecture. In this blog post, I will give a brief overview of the options in WRE. The options in WRE are fully discussed in the 6292 – Installing and Configuring the Windows Client http://www.lrs.com/education/learn/courses/key-MS6292—Installing-and-Configuring-Windows-7.aspx and several of our Server 2008Server 2008 R2 courses.